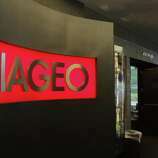 Diageo haedquarters at 801 Main Ave. Friday, January 11, 2019, in Norwalk, Conn. Diageo has made the decision to establish North American HQ in NYC amd leave their Norwalk location. They are monuments of sorts to a piece of Connecticut’s corporate history: a Bavarian tower overlooking the Farmington River outside Hartford, or the glassy Towers office above Norwalk’s southbound lanes of the Merritt Parkway; bottles of Smirnoff vodka lining the shelves of Bethel Wine & Spirits just blocks from the brand’s birthplace in America, or that bottle of A.1. Sauce tucked away perhaps in your own refrigerator. In Connecticut as it would turn out, it was a history living on borrowed time, as the corporation that inherited those legacies and built them into global brands — or sold some to the highest bidders — chose the skyscrapers of Manhattan to hone its American legacy going forward. With Diageo’s announcement this past week of plans to move its North American headquarters out of Norwalk, Connecticut is losing to New York City a company with a legacy extending to before Mark Twain’s earliest days in Hartford, all the way back to the eve of the Civil War. Its name an esoteric cocktail of the Latin words for “day” and “world” — an attempt to bring to mind the everyday search for life’s pleasures everywhere — Diageo was formed by the December 1997 merger of the British alcohol giants Grand Metropolitan and Guinness. Grand Metropolitan’s predecessor companies included Heublein, created by a German emigrant named Andrew Heublein and his sone, Gilbert and Louis. Andrew Heublein established a Hartford hotel in 1859, forming the foundation for a company that would eventually achieve worldwide fame. 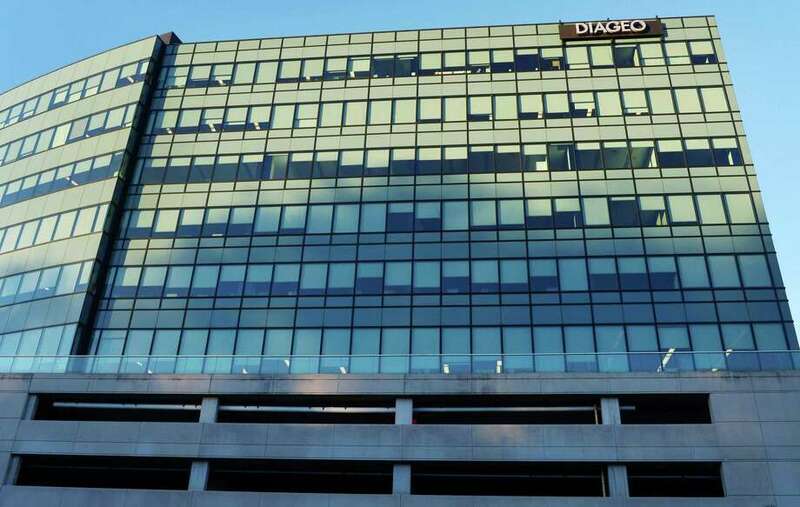 The Heublein name is forgotten by many in southwestern Connecticut, where Diageo would move its headquarters in 1998, after establishing its new corporate identity — bringing employees from Hartford to join the former Guinness employees. But it’s a name still held dear by many in Hartford, where Heublein built up a distillery for vodka and other spirits that would employ hundreds; stumbled onto what would become its Prohibition-era savior in A.1. Sauce; and added over time other household brands like Grey Poupon. Back in 1892, Heublein pioneered pre-mixed cocktails, by accident — after hosting an event for the Governor’s Footguard that was twice rained out. Days later, the unused gallons of mixed drinks tasted pretty good to the guy who was asked to throw them out, and a product line was born. While the Heublein sign on a Hartford high-rise is long gone, a monument stands to that heritage in the Heublein Tower west of the city in Simsbury, above the Farmington River, a 165-foot-tall structure built by a Gilbert Heublein and preserved to this day by a nonprofit caretaker. The roots of the company’s success lie farther west still, in downtown Bethel where a Ukrainian man moved after coming to New York in 1920, holding the rights to the Smirnoff brand with his father operating a massive distillery in his home country. Rudolph P. Kunett would open his small distillery in 1934 on South Street, and after struggling for several years to wring profits from Smirnoff, found a buyer in Heublein to take it over for $14,000, a decade’s worth of royalties and a job he would take into retirement (The original Smirnoff distillery building still stands today, a decrepit relic across the tracks from Broken Symmetry Gastro Brewery, among Connecticut’s newest microbreweries). Under company president John Martin, Heublein would hatch a brilliant marketing plan for Smirnoff as “white whiskey” — as legend has it, the assumption of a bewildered bar owner in cracking open a case for the first time — ideal for mixing Bloody Marys, screwdrivers, Cape Codders and any number of cocktails; or for “breathless” nipping with no telltale scent of alcohol to be discerned. The company would find additional success with its Club Cocktails line of mixers in 8-ounce cans, while using its wealth to acquire other brands: Grey Poupon in 1946, Inglenook wines in 1969 — owned today by the director Francis Ford Coppola — and Kentucky Fried Chicken in 1971. In 1982, tobacco giant R.J. Reynolds would acquire Heublein’s successor company United Distillers & Vintners in 1982, merge with Nabisco within three years, then break back up under future IBM CEO Lou Gerstner Jr. of Greenwich with backing form the leveraged buyout firm KKR. Smirnoff would go to International Distillers and Vintners, Grey Poupon to Kraft Foods, and RJR Nabisco’s 20 percent stake in Bristol-based ESPN to the New York City-based Hearst Corp., parent of Hearst Connecticut Media. International Distillers and Vintners would be acquired by London-based Grand Metropolitan. In creating the Diageo brand in the 1997 merger, the new company decided also to pull out of Hartford in favor of Fairfield County where the company had 225 people at a corporate office in Stamford. The reason: To find a richer pool of marketing talent, same reason Diageo says it’s moving to Manhattan at the start of 2020. “We had a real legacy in Hartford, not only the manufacturing plant but also in terms of being involved in the community,” said Jack Shea, a Fairfield resident and former Heublein and Diageo communications executive who made the move to Stamford, and now works at competitor Pernod Ricard USA in New York. In 2004, Connecticut awarded Diageo incentives to move its North American headquarters to its current address at 801 Main Ave. in Norwalk. 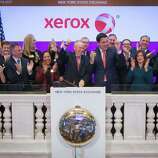 The company did not get the full value of that package after failing to meet its commitment to maintain a workforce of 700 people there, while maintaining offices in New York City that will now be consolidated at 3 World Trade Center — a long commute for Connecticut employees. Diageo will maintain a smaller satellite office in lower Fairfield County — at a yet-undecided location — that could employ 250 people, if the company’s initial projections hold true over time. Diageo has yet to make Mahlan, of Westport, available for questions from Hearst Connecticut Media on details behind the decision to move its North American headquarters after a quarter century in Stamford and Norwalk. Going forward, the story of the world’s largest liquor company will be told from a Manhattan office, as it adds to (or subtracts from) its current shelf of brands that include Smirnoff; Captain Morgan rum; Casamigos and Don Julio tequila; and Bulleit, Crown Royal and Johnnie Walker whiskey. In Norwalk, the days appear numbered for Diageo’s sign overlooking the Merritt Parkway, as other corporations eye a coming vacancy in what is among the region’s most prestigious addresses at The Towers just off Main Avenue. Within eyeshot of the Hartford skyline, however, a piece of Heublein’s heritage will continue to be celebrated each October at the tower that bears the family name in Simsbury, at an annual “Heublein Tower Toot” picnic with grilled bratwurst and family-friendly beverages on the menu. In a 1997 interview with the Hartford Courant as IDV shut down its operations in Connecticut’s capital city, the namesake descendant of Andrew Heublein fretted whether in a decade’s time anyone would remember the company that turned Smirnoff and A.1. into towering brands. This report includes prior reporting by Erik Ofgang.